We had a lot of great TV last year, which helped mitigate what sometimes felt like a world gone mad (and about to burn). This year feels about the same, but luckily we still have great TV to watch (while it lasts anyway). It’s already November and with only just over 2 months to go until the end of 2017 (Christ, where has that gone to), TV this year has been bloody good. Whilst the year so far has brought some phenomenal new shows and the return of some of our favorite series, the first few months delivered some incredible shows featuring breakout performances, genre twists and turns, and the return of some of our favorite characters. Here are my picks of this aqyear’s best TV shows (so far). 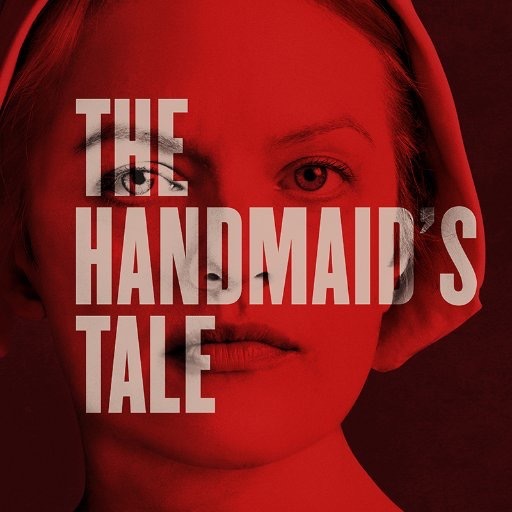 The American TV series brought a number of mixed reviews when it came to British soil about a terrifying fictional world based on Margaret Atwood’s dystopian tale of an ultra-patriarchal society. If you haven’t watched it, watch it, whatever your opinion, it’s terrifying, brutal, scary and just makes you thankful for the world we live in, even though it’s not as perfect as we desire. Just thank the Lord it’s not Gilead. The story focuses on a society that has forced the few remaining fertile women into a form of slavery, serving as surrogates for wealthy couples following a global natural disaster which has left most women unable to conceive. Elisabeth Moss leads the cast as Offred, with Joseph Fiennes as the Commander, Max, Samira Wiley as Of Fred’s best friend Moore, Max Minghella as Nick Blaine and Ann Dowd as the exceptionally brilliant Aunt Lydia. 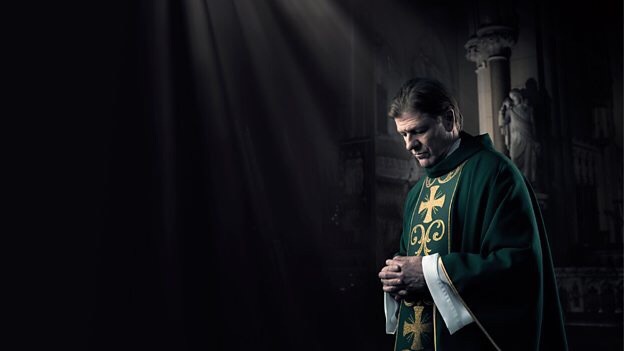 This six-part British TV drama series first broadcast at the end of May, focused on Michael Kerrigan played by the brilliant Sean Bean, a priest of the Roman Catholic parish in a northern England city. Being a priest means he’s caring and guiding to many of his most vulnerable parishioners in their everyday lives whilst dealing with his own demons. This brilliant series showed Bean as a character trying to save everyone whilst his inner soul was bruised, battered and broken a million times over in a town hit by extreme poverty. Simply mesmerising, a brilliant performance from Bean and his fellow castmates who included the likes of Anna Friel, Adrian Dunbar, Danny Sapani and Mark Stanley. 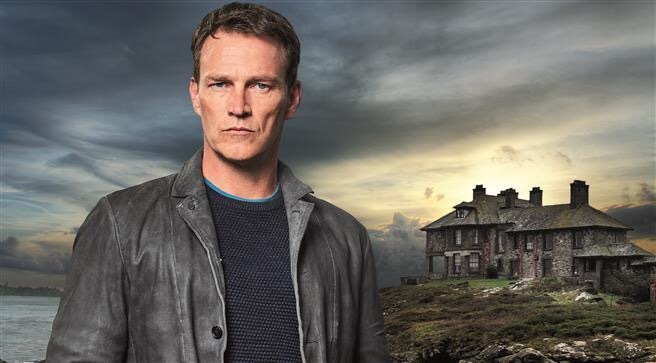 The Loch, a 6 part British TV drama on ITV hit our screens back in June. The series follows DS Annie Redford (Laura Fraser), a small town police officer with the Scottish Highland Police as she investigates the murder of piano teacher Niall Swift, who is found dead at the bottom of a cliff in the picturesque village of Lochnafoy, Loch Ness. When it becomes apparent that part of Swift’s brain has been removed, and a human heart belonging to another victim is found close by, Annie’s team realise they are searching for a serial killer. In response, Glasgow based major investigation detective DCI Lauren Quigley (Siobhan Finneran) is brought in to lead the enquiry. This was really good, lots of twists back and forth throughout. This is Us grabs at all the feels one person can take in an hour program. Honestly, this TV show pulled on every heart string, shed some tears and made you reminisce on my own childhood. The first episode kicked off with a long caption “This is a fact,” it read. “According to Wikipedia, the average human being shares his or her birthday with over 18 million other human beings. There is no evidence that sharing the same birthday creates any type of behavioural link between these people. If there is, Wikipedia hasn’t discovered it for us yet.” I don’t think it’s an actual fact more of a point to get across to us, the viewer, anyway, that’s not important. It was captivating as certain storylines rang true in my own life and in that of others. I loved every minute of this show. It had happiness, sadness, truth, desire, passion, anger, every bit of emotion that could be reflected throughout someone’s life in one series. There’s rarely a series you watch that you can get completely swallowed up by it and forget you’re actually watching it and feel like you’re part of it. This took me a while to watch, for a few reasons, the storyline and mostly who to believe. 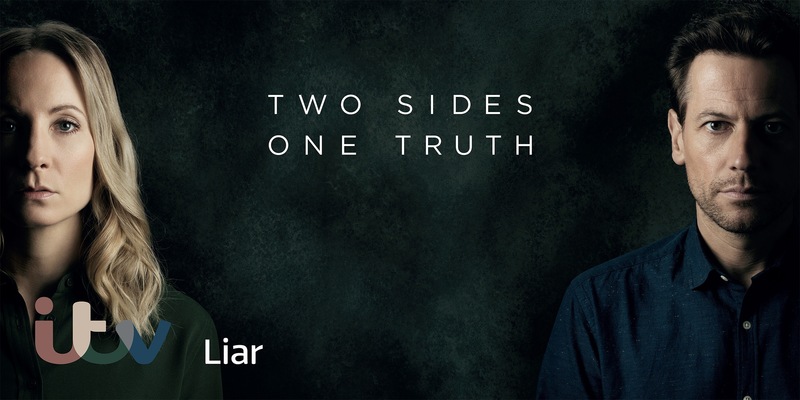 Starring “Downton Abbey ” star Joanne Froggatt and “Fantastic Four” actor Ioan Guffard, “Liar” tells the story of two people whose initial attraction leads to far-reaching consequences for them, their friends and families. Laura Nielson, a smart and capable teacher in the middle of a breakup, is set up on a date with recently widowed surgeon Andrew Earlham. However, the day after it is apparent that something has gone wrong, and the subsequent fallout rapidly spirals out of control, exposing the power of truth, deception and trust. There are plenty of dumb decisions made and there were plenty of times that I wanted to scream at the screen, but stick with it, it’s good. 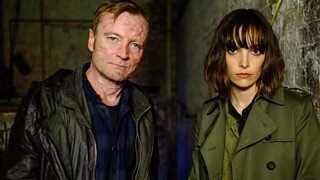 The 10-part British thriller series on Sky Atlantic started in September about a former London police detective called Jim Worth who is the new police chief of Little Big Bear, in Canada. Tim Roth who I love from Fox Network’s very much short-lived drama series Lie To Me. Former London police detective Jim Worth is the new police chief of Little Big Bear, a small town in the Canadian Rockies, where he has moved with his family to escape his past.The influx of migrant workers because of a new big oil company, headed by the mysterious Mrs Bradshaw, forces Worth to confront the resulting wave of crime that threatens the town. Worth’s stand against the criminals results in vigilante groups attacking him and his family, leading Worth to slip into his violent alter-ego, Jack Devlin, to exact revenge. A serial killer thriller told in reverse, unravelling the truth behind a series of murders as DCI Gabriel Markham hunts down a brutal killer. The BBC series is different to most with its intense flashbacks but you do really need to pay attention or you’ll miss something. 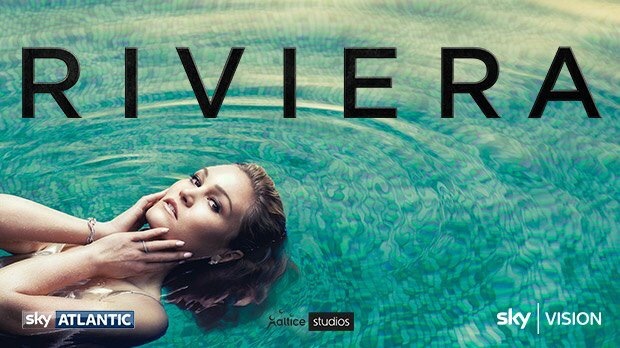 Sky Atlantic’s ‘Riviera’ was my guilty drama when it hit screens in July. The drama starred Ten Things I Hate About You actress Julia Stiles got everyone talking about it. The intoxicating thriller followed the moral descent of American art dealer Georgina Clios, whose idyllic life is shattered when her billionaire husband is killed in mysterious circumstances. But his death leads Georgina into the shadowy, criminal underworld that lurks beneath dazzling fortunes. I mean it was just bloody brilliant, well, until the last episode when the ending was a bit poo, but the whole series was thrilling, engaging, an edge-of-your-seat must watch. Interestingly, it was based on an idea by former U2 manager Paul McGuinness, who turned to TV after retiring from the band in 2003. It showed a different light into the glamorous world of designer clothes, extravagant parties, ridiculous wealth and art. Who knew this life could be so gritty and dangerous? Not everything is as perfect as it seems. Julia Stiles leads as Georgina, and the cast includes Games of Thrones star Iwan Rheon, Without A Trace actor Anthony LaPaglia, former Grange Hill pupil Dimitri Leonidas, Hustle actor Adrian Lestor and French-Austrian actress Roxanne Duran. Cold Feet returned for its 6th series with a lot of nerves and anticipation wondering if the TV drama series could live up to the original series that ran from 1997 to 2003. Last year so much happened and then series 7 came along, ending last month leaving fans, again tearful and desperate for more. Hopefully ITV will make an 8th series. You can’t end it there!